by Sue Rosen. Published by Halstead Press, 2009. Surgeon John Harris was one of those domineering, red-blooded gentlemen who only existed in convict times. His house, on the other hand, still stands - with its verandah, the archetype of two centuries od Australian homes. A veteran of war at sea, Harris brought 18th Century values Ireland, and architectural ideas India. 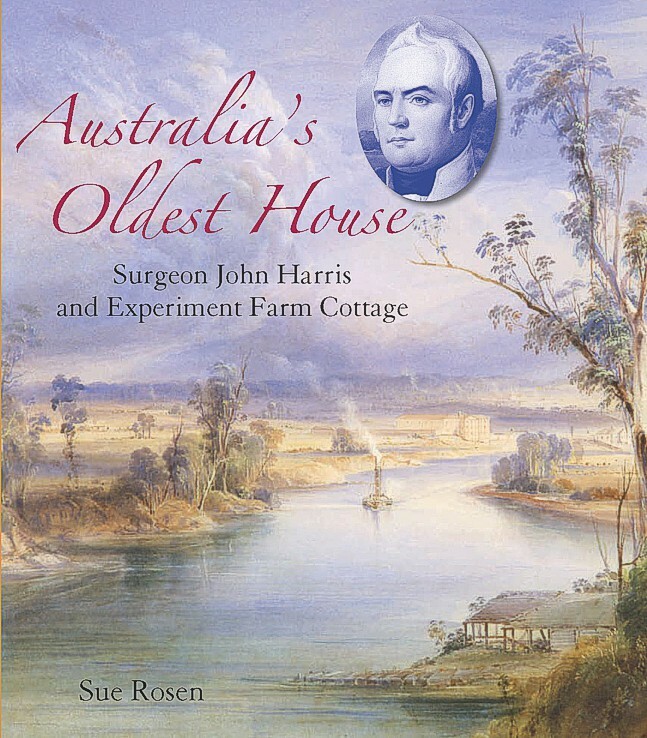 Despite his prominence as a magistrate, medico, power broker, police chief and explore, this is the first biography of Harris and of his main legacy, Experiment Farm Cottage, built in the 1790s. Experiment Farm Cottage is little noticed nowadays - thanks to 20th Century management and poor heritage practice. the National trust (NSW), oblivious to the weight of evidence, insists the cottage was built in the 1830s. This book reminds readers of the damage done when history is ignored.